Sonakshi Sinha is gearing up for her upcoming multi starrer Kalank. The movie has an ensemble star cast of Varun Dhawan, Alia Bhatt, Sonakshi, Aditya Roy Kapur, Sanjay Dutt and Madhuri Dixit. With so many big B-town celebs coming together, the movie has greater chances to become a bankable one. With professional lives going so smooth, the actors’ personal life is also rocking. 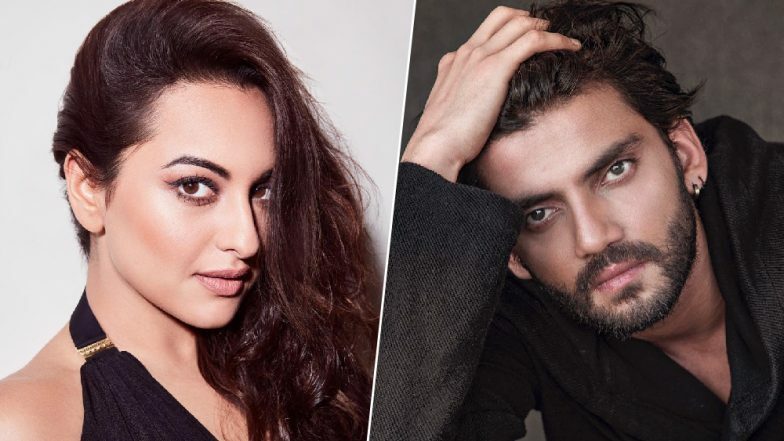 Sonakshi is running around the rumours of dating the Notebook debutante Zaheer Iqbal. The two were spotted together at a few social events and pictures raised all-the-more suspicions. However, the actor has a different say to it. Dabangg 3: Sonakshi Sinha's Look as Rajjo in Salman Khan Starrer Has Nothing New to Offer! Well, the Dabangg star surely dodged the question like a pro! On the work front, Sonakshi will soon be sharing the screen space as Satya in Karan Johar’s Dharma Productions, which is set in the 1940s pre-partition era. The actor is currently shooting for the third installment of the Dabangg series, co-starring Salman Khan. Kalank Full Movie in HD Leaked on TamilRockers for Free Download & 123movierulz to Watch Online: Varun Dhawan-Alia Bhatt’s Film in Deep Trouble Due to Online Piracy!